Ellie has been a pleasure to show and her "kids" are doing great too. 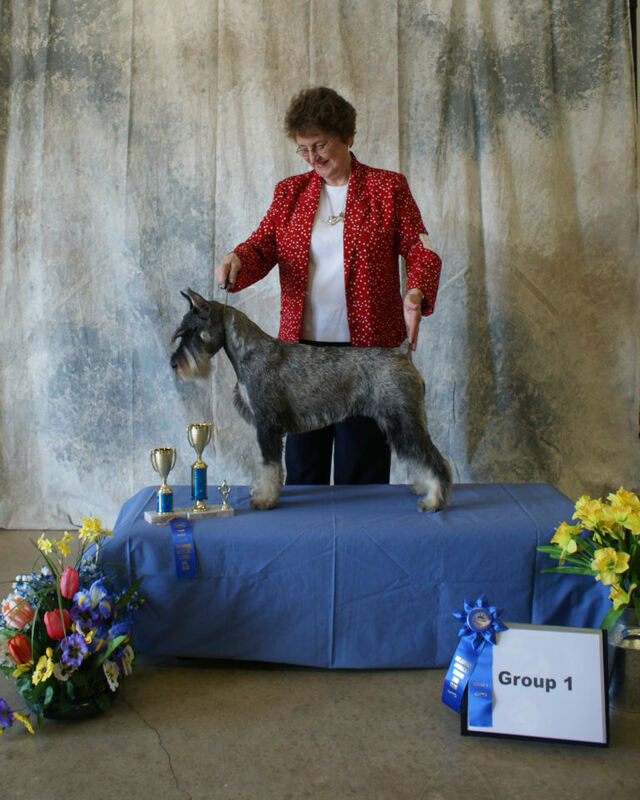 Ellie has had 2 Reserve Best In Shows- 2015 & 2016, her daughter Katy had 2 Best In Show's and now a son has had a Best In Show! These are great WINS! to repeat that step, and Ellie behaved as needed. Now we learned Ellie was responding to the lowered levels of potassium and glucose in our evaluator. 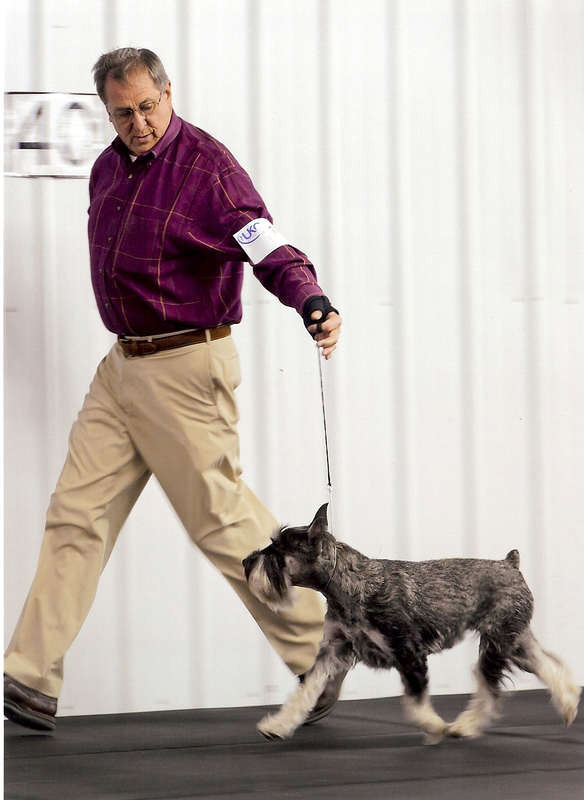 She instinctively responded with the same method as the trained service dog. Our evaluator’s chemistry was approaching a dangerous level and Ellie’s action though unrecognized by the untrained, was picked up by the evaluator in time to remedy her situation. Needless to say, this breed of ours continues to amaze us with it’s remarkable level of intelligence. 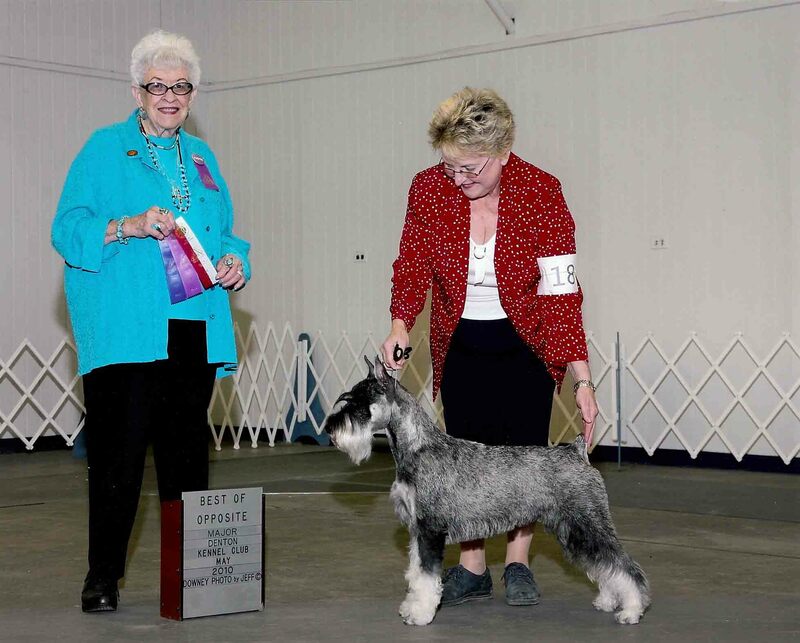 Thank you Judge Mildred Bryant for recognizing a nice puppy! 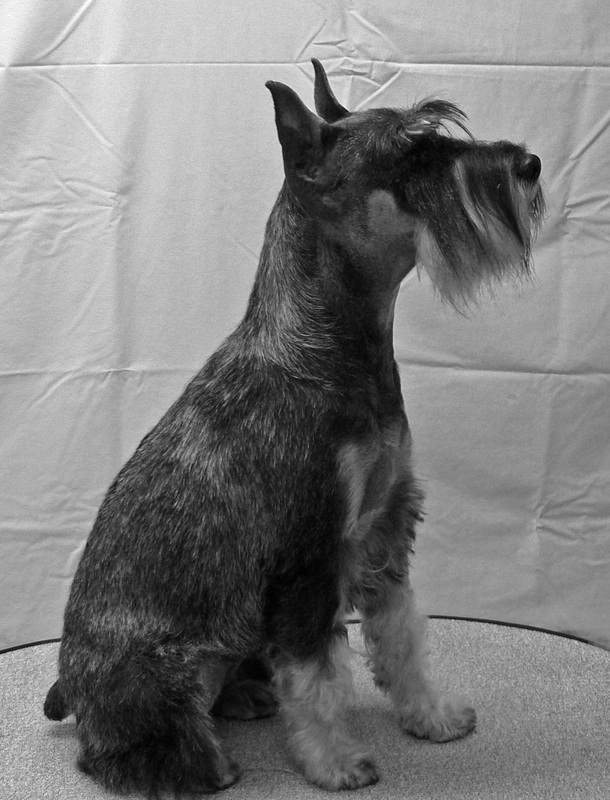 ELLIE, a Cinch daughter at 9 months old and her first show went Best of Breed and then on to Group. 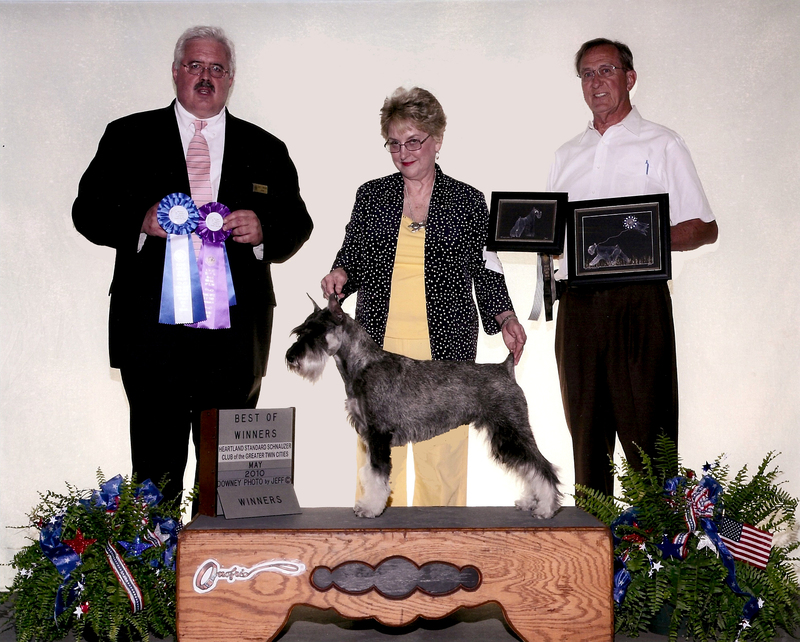 Judge Robert C Thomas selected her for a GROUP 3 Placement. 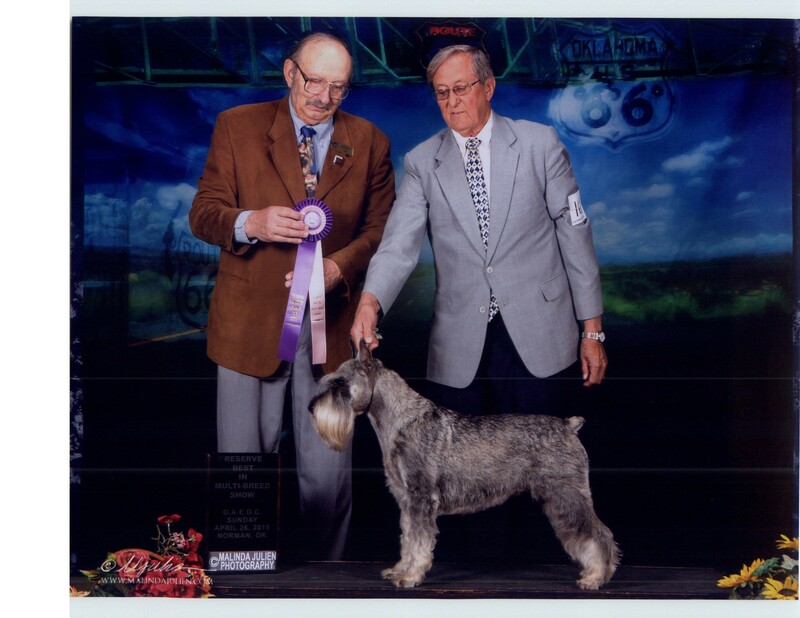 Thank You, Judge Thomas Winners and Best of Winners at the Heartland Standard Schnauzer Club Specialty in Bloomington, IL for a 5 PT Major - THANK YOU Judge David J Kirkland!